Welcome to the Beanpot Charity Hockey Challenge fundraising and registration site. Our goal is to bring together the loyal hockey family to help support two long-standing Boston-based charities. 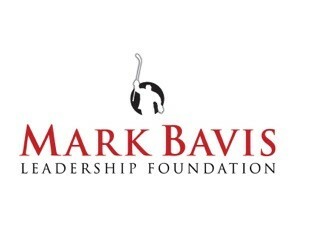 The Travis Roy Foundation and Mark Bavis Leadership Foundation are devoted to helping people with paralysis and providing scholarship opportunities to deserving high school students. This year’s Challenge will be played on Monday, February 11th, at Boston University’s Agganis Arena. Following the Charity Challenge games, each player receives a ticket to the private Garden View Suite to enjoy food, beverage, and watch the Beanpot Championship and consolation games. We will have three separate games. The Legends Game is for those players who rarely lace up their skates or may be a little older, Prime Time is for players that think they can still play, and then of course, the Young Guns. The puck will drop at 1:00pm for the Young Guns. The Legends game begins at 2:15pm, and Prime Time starts at 3:30pm. Players are asked to solicit pledges from family, friends, and coworkers. We'd like to see each player raise a minimum of $2,000 to help us reach our goal of $250,000. The event is open to a limited number of players - please contact us at info@travisroyfoundation.org if you would like to participate this year.